The origins of jazz can be traced back to African American communities in New Orleans. It found its roots from genres like ragtime and was quickly defined by its use of improvisation. 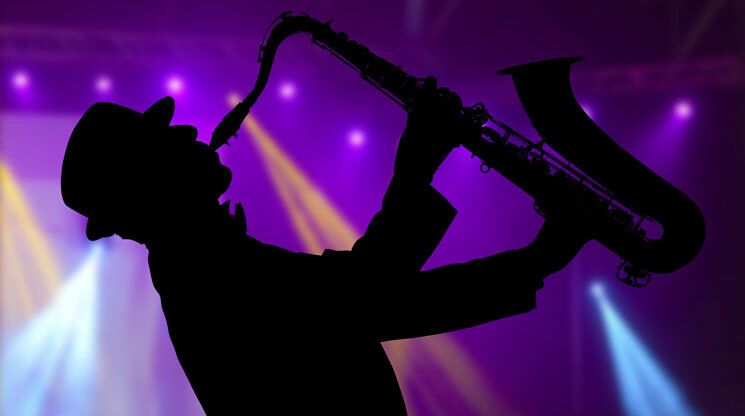 Since April is National Jazz Month, let’s celebrate this popular genre of music by looking back at some of the most influential jazz performers of all time. Some of Davis’ most famous songs include “So What,” “Blue in Green,” and “Stella by Starlight.” One of his studio albums, “Kind of Blue” remains the highest-selling jazz album of all time, even 60 years after its release. His focus on free expression resonated with many people, and to this day he remains one of the most recognizable jazz icons. Known by many as the “First Lady of Song,” Ella Fitzgerald was the most popular female jazz performer in the United States. Starting out with a rough childhood, Fitzgerald made a name for herself during a 1934 performance at the Apollo Theater. She then joined the Chick Webb Orchestra, but eventually moved onto a very successful solo career. Referred to as “Satchmo” by many of his fans, Louis Daniel Armstrong is a composer who is one of the most influential jazz performers of all time. Born in New Orleans, Armstrong is well-known for his deep voice, as well as his performance on the trumpet. His reliance on solo performances rather than collective ones turned him into an influential figure in the music scene. Out of all the songs he performed, “What a Wonderful World” remains one of his most well-known. To honor his legacy, Louis Armstrong’s house in Queens was converted into a public museum after he passed away. Edward Kennedy “Duke” Ellington is an American-born composer known for his jazz work. His famous jazz orchestra was considered the best in the business, since it was comprised of talented jazz musicians who were seen as some of the best players in the country. The mix of eloquence and charisma in Ellington’s music was his most defining trait. Duke Ellington is known for many famous works, and he composed more than 3,000 songs throughout his career. Some of his iconic pieces include “It Don’t Mean a Thing if It Ain’t Got That Swing” and “Solitude.” Throughout his entire career, Ellington received 14 Grammy awards, and was even inducted into the Grammy Hall of Fame.